in as little as six months! 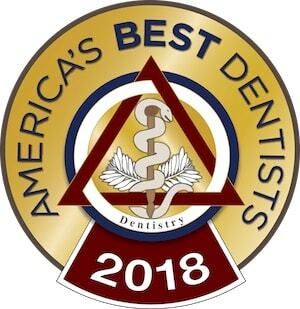 Although Dr. Firouzian is a general dentist, he has completed numerous programs in orthodontics and thus he is able to provide orthodontic treatment for adults and children. Adults appreciate cosmetic smile improvement with traditional braces or retainers at any age, and many opt for Invisalign, the invisible braces. In some cases, minor cosmetic issues may even be corrected with porcelain veneers or dental bonding. For children and adolescents, we utilize the Healthy Start system to correct thumb habits, deep bites, cross bites and crowded teeth. With children, we have a two-phase approach. In phase one, we recommend orthopedic appliances for children ages 5-12 that can be used for habits such as tongue thrusting and thumb sucking, underdeveloped or narrow jaws, mouth breathing, or cross bite. In phase two, we recommend braces for adolescents ages 12-14 to straighten teeth. We are also the only dentist in Columbus, OH offering neuromuscular orthodontics. Neuromuscular orthodontics moves your teeth to restore a healthy bite that can reduce or eliminate TMJ symptoms. Our high-tech approach to orthodontics makes all these approaches better. Digital scanning lets you get an impression without need for physical impression trays full of uncomfortable material. Advanced planning tools make orthodontics faster and more accurate. Plus, we can print retainers in house, which means you can get them faster and cheaper. There are many different approaches available for straightening teeth. The best way to find out which orthodontics treatment is right for you is to talk to a Columbus cosmetic dentist. Please call (614) 848-5001 or email Firouzian Dentistry today for an appointment. Invisalign ® is the invisible way to straighten your teeth without braces. Dr. Firouzian uses a series of clear removable aligners to straighten your teeth without metal wires or brackets. This means you can eat all your favorite foods and don’t have to worry about cleaning the wires and brackets. Proven effective in clinical research and in orthodontic practices nationwide, Invisalign® is a popular choice among adult orthodontics patients. Total treatment time averages 9 to 15 months. Dr. Firouzian is a certified Invisalign® dentist in Columbus, Ohio. Many patients are seeking treatment for the popular invisible orthodontics. Learn more. Neuromuscular dentistry looks at your mouth as an integrated system. It’s not just teeth, bones, muscles, and nerves with separate functions, but a unified whole that works together to accomplish the many important tasks your bite performs. When one element isn’t harmoniously integrated, other systems suffer. For many people with TMJ, teeth are the problem. Teeth that don’t fit together properly—what we call malocclusion—don’t let your jaw achieve a comfortable position. As your muscles strive to put your jaw where they think it should be, they may create a position where your teeth fit together, but your jaw is dislocated—or where your jaw is in place, but your bite isn’t functional. Neuromuscular orthodontics means moving your teeth into a position so that they harmonize with the rest of your bite system, reducing or eliminating TMJ symptoms. Do all of these terms and options have your head spinning? Visit our orthodontics glossary to learn more about commonly used words in orthodontics. Call us today at (614) 848-5001 to schedule an appointment with our Columbus, Ohio dentist. You can also email us. ControlledArch orthodontics is fast way to straighten your teeth and reshape your profile. Like traditional orthodontics, it uses brackets and archwire to move your teeth. But the ControlledArch approach benefits from centuries of research on the proper developmental pathways for the jaw and the teeth. It mimics these pathways to provide the fastest and most natural straightening of your teeth. It also reshapes the jaw to create the proper room for a healthy distribution of teeth. ControlledArch orthodontics can often produce striking results in six months. It doesn’t just straighten teeth, it reshapes your jaw, which means that it can improve your facial appearance at the same time. It can give you a stronger, broader chin, and a better profile. October 12th, 2017|Comments Off on Is a Tooth Gap a Good Look for You?